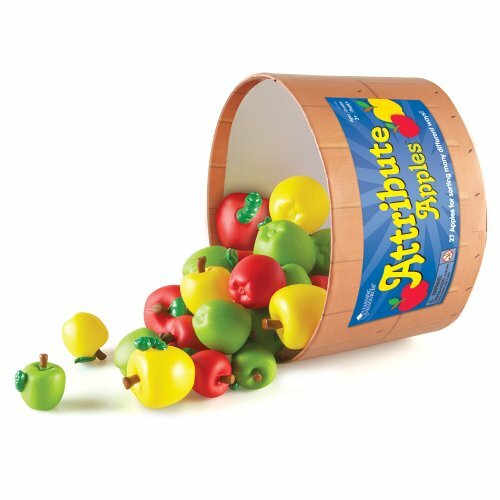 Develop pincer and whole hand grasp by picking up, turning, and studying the apples. Sort, classify, and compare apples by 5 attributes including size, color, and physical features (stem, leaf, worm). Includes activity guide featuring suggested uses of Venn diagrams for higher-order thinking skills. 27-piece set.